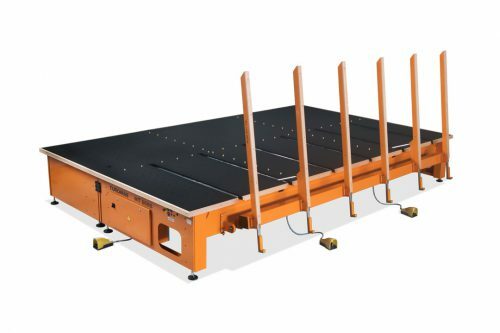 Glass loading and unloading tables. They offer solutions for limited spaces where the lifting crane can not reach. They provide autonomy to the cutting line or process where it is located. Cutting and break-out tables with different configurations to adapt to customer’s needs and offer the best solutions for our cutting lines. Compact and optimized design. The tables are assembled in a whole to gain strength and avoid possible tensions. 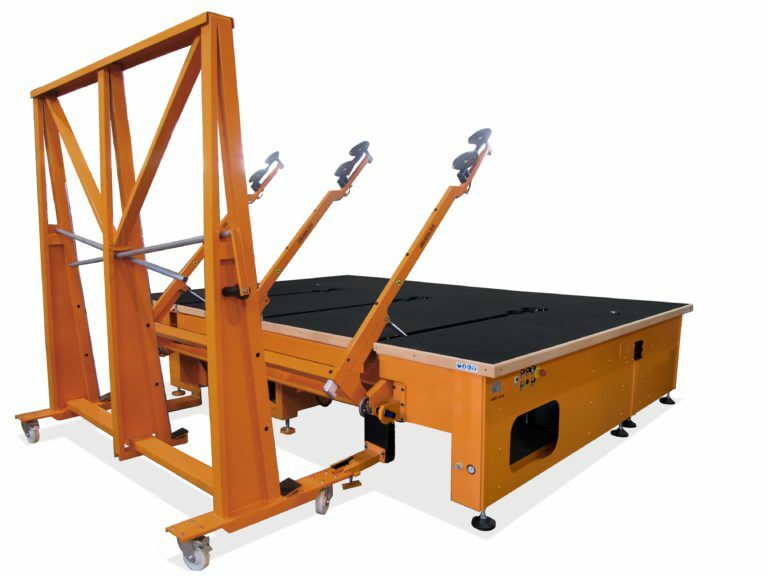 Its mechanical design allows the absortion of the vibrations produced by the high accelerations and speeds, thus optimizing the quality and precision of the cut. This system allows the glass to be moved manually along the table by means of an improved flotation system. A fan generates a high flow of air that exits the table surface through uniformly distributed adjustable holes. Our innovative bet for aluminum panels minimizes air cushion losses. But the most remarkable feature is its combination with the TFS system to guarantee perfect table planimetry over time.